Today: a conversation with one of the two Democratic Party primary election candidates for Indiana House District 3 -- Gary community builder Jessica Renslow. Renslow and Gary Common Councilwoman Ragen Hatcher will be on the May 8th election ballot, seeking the party nomination for the seat vacated when State Representative Charlie Brown retired. We reached out to Ms. Hatcher with an invitation to join us, but have not yet received a response before this program. 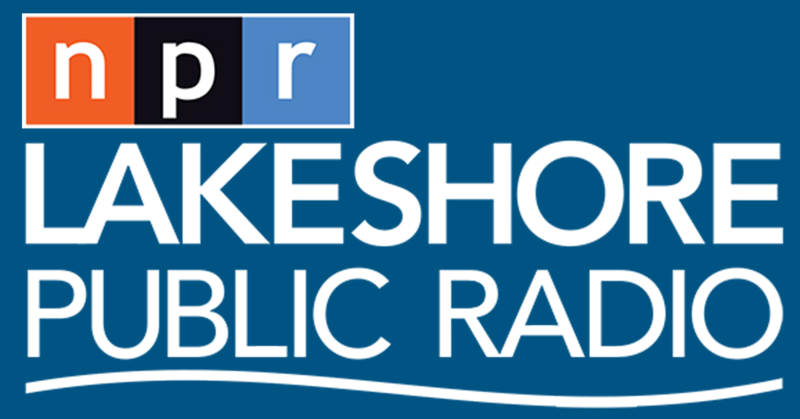 Lakeshore Public Radio conversations with candidates for public office in the May 2018 primary election began on Monday with the two Democratic Party candidates for Indiana Senate District 1. Veteran incumbent Senator Frank Mrvan (D-Hammond) and his challenger, Fr. Mark Kurowski, came into the "Regionally Speaking" studio to talk about the reasons for running (or seeking re-election) and about the issues that affect Northwest Indiana residents. The conversation became spirited at the end, as you can hear for yourself. Today: We begin our conversations with candidates for public office in the May 2018 primary election, with the two Democratic Party candidates for Indiana Senate District 1. Veteran incumbent Senator Frank Mrvan (D-Hammond) and his challenger, Fr. Mark Kurowski, are in the studio to talk about the reasons for running (or seeking re-election) and about the issues that affect Northwest Indiana residents. Today: on this Reporters' Roundtable Thursday, we call on LaPorte "Herald Argus" and Michigan City "News Dispatch" reporter Jon Gard for his stories published and posted this week, as well as stories from "Post-Tribune" reporter Greg Tejeda. And we have, on the phone from Brown County, "Howey Politics Indiana" creator and editor Brian Howey for a look at politics around the state and country.